We are one of India’s pioneering CRM consulting companies. With extensive knowledge gained over eight years of CRM consulting, we have extended our services to include Customer Relationship Optimization (CRO). We deliver these solutions over world class CRM solutions such as Sage CRM, Microsoft Dynamics CRM Online 2011 and Oracle CRM on Demand. 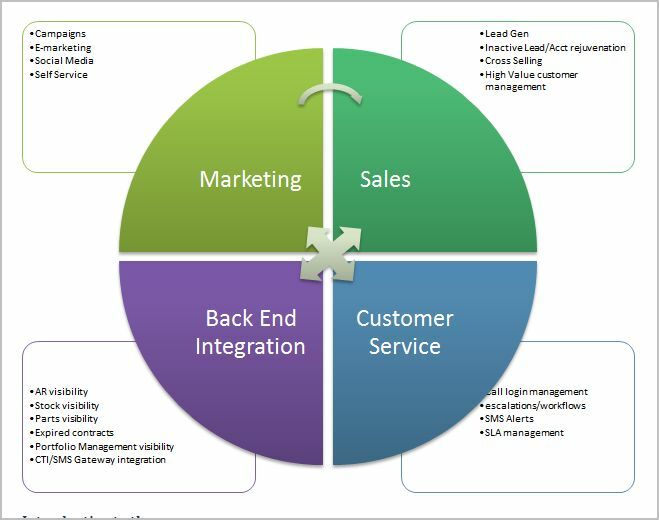 There is a compelling need for Marketing, Sales and Customer service personnel to have a unified view of all the enterprise applications within the company and a unified view of the customer. We offer a full range, end to end service portfolio of CRO services from Review of your existing CRM deployment to retooling, redeploying and retraining the users thus enhancing productivity and improving the ROI of your CRM. With computing moving rapidly out of deskbound devices and being replaced by tablets and smart phones, we also have the capability to mobilize your enterprise applications. With a young and vibrant team of functional and technical consultants and project management experience, we are equipped to offer our customers significant value and benefits in their CRM deployment. Contact: info@belladonnait.com or call +91 9663089787 . Or simply fill out the form below.